So, I wanted to follow up with my recipe for Fall Apple, Oat and Walnut Scones. 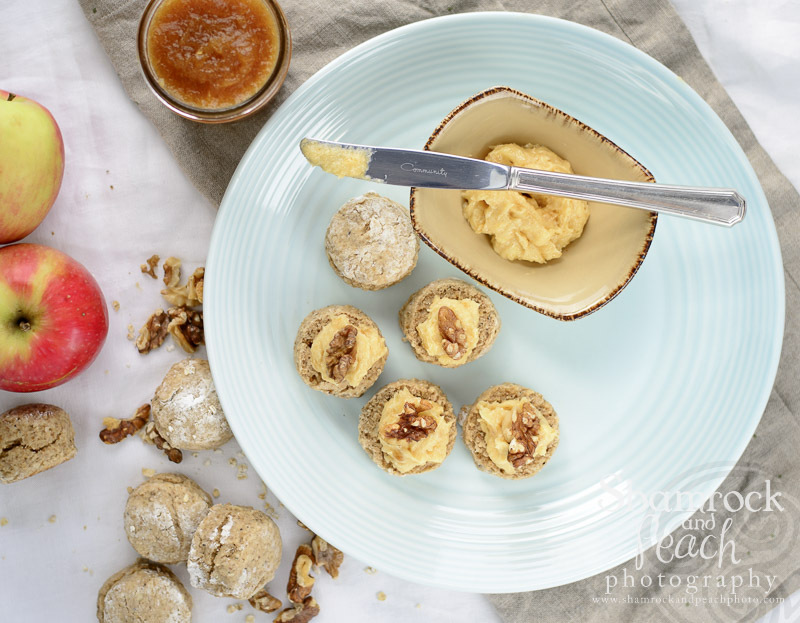 I hope you have been waiting with bated breath from my last apple butter post? Late September is the time of year where we all begin to celebrate all things apples. So may I suggest there no better way of enjoying the season than by baking some fall Apple scones? 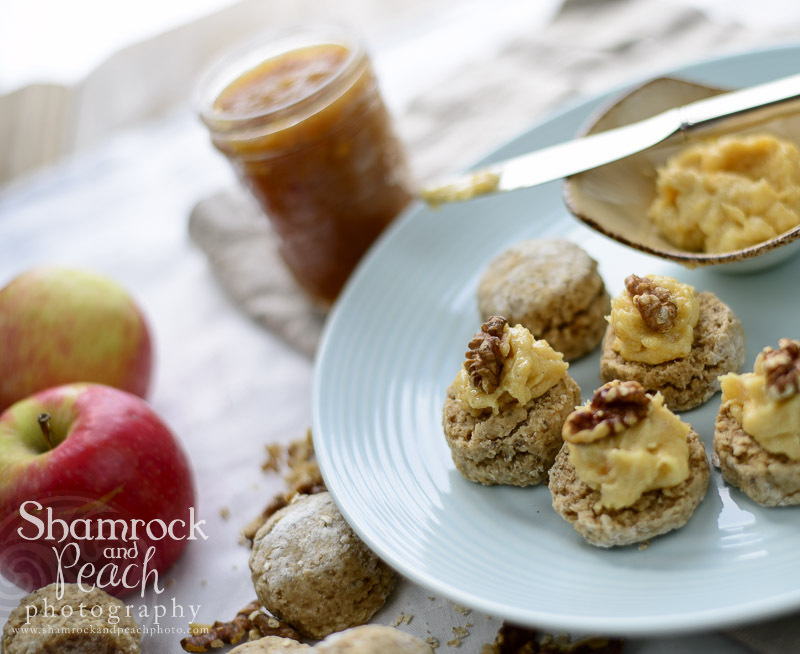 Hearty Oatmeal and apples make these scones perfect for breakfast or that mid morning snack? I featured the scones recently at my fall tea cooking class at Wholefoods market and they were a huge hit. I encourage you to go ahead and take time to enjoy this bountiful fall harvest season and eat more apples when they are farm fresh. Oh, and this photo is taken in Northern Ireland at my high school friend Stephen Kane’s farm; and his freshly picked apples are the best. Thanks Stephen for allowing Gary to come and take photos of your delicious Bramley’s! Preheat the oven to 425 degrees F. Place oats on a baking sheet and toast for a few minutes until lightly browned and set aside. While oven is still hot toast the walnuts for 4-5 minutes until golden brown. Reserve 12 pieces to garnish each scone and chop the remaining nuts finely. Combine cooled oats, four, sugar, baking powder, baking soda, cinnamon and salt in a large bowl. Cut in butter until crumbly using a food processor and stir in the nuts. Beat the buttermilk and egg together and stir in the grated apple. Slowly combine with the dry ingredients. Turn dough out on to a lightly floured surface. Roll out dough with lightly floured surface. Fold over dough and then knead 4-5 times. Cut scones using a 1”biscuit cutter or in to 2 6” circles about ¾” thick. Brush dough with egg wash and sprinkle some Scottish fine oats on top. Bake at 425 degrees for first 10 minutes and then turn down to 350 degrees for 5 more minutes. To serve cut each scone in half and spread a thin layer of Kerrygold salted butter. Using a teaspoon add a little apple butter. Garnish with a toasted walnut. 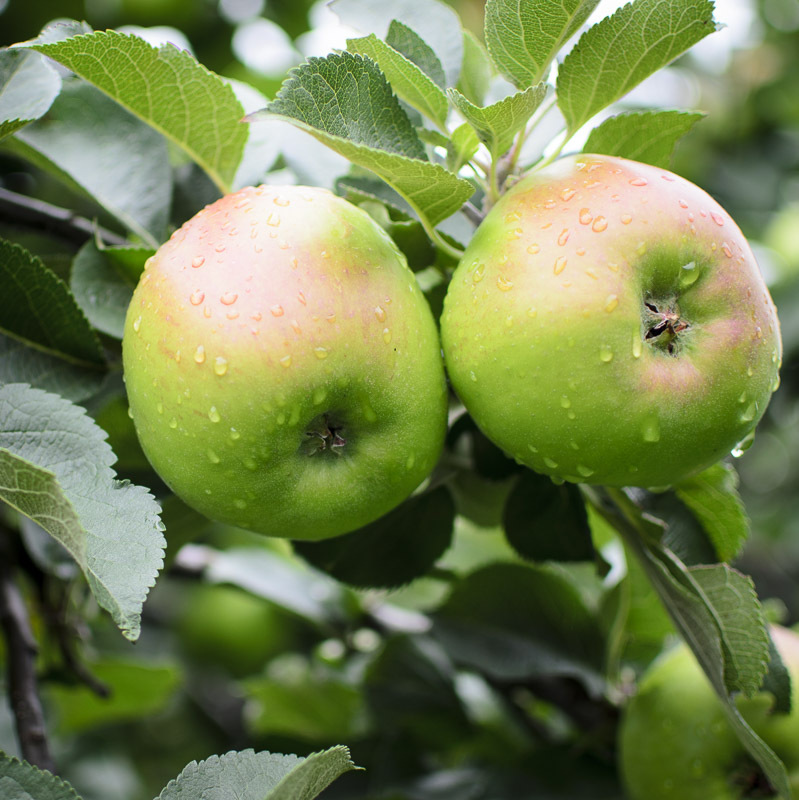 Enjoy apple picking wherever you are and keep it local! Whip the butter and apple butter together by hand or with an electric beater. Store in the refrigerator until ready to use and bring to room temperature to serve. Prepare apples by peeling, coring and roughly chopping. Allow the apples to cool slightly and then place in a blender to puree. Pass the apples through a drum sieve. Return the apple sauce to the saucepan adding the remaining 1 cup of sugar and ½ cup of water. Cook the apples on medium high heat so the apples begin to caramelize, stirring frequently and being careful the apples do not scorch (this will take at least an hour to achieve a rich dark caramel color. (Add a little extra water if necessary to the sauce as it caramelizes). Remove from the heat and pour in to hot, sterilized jars. 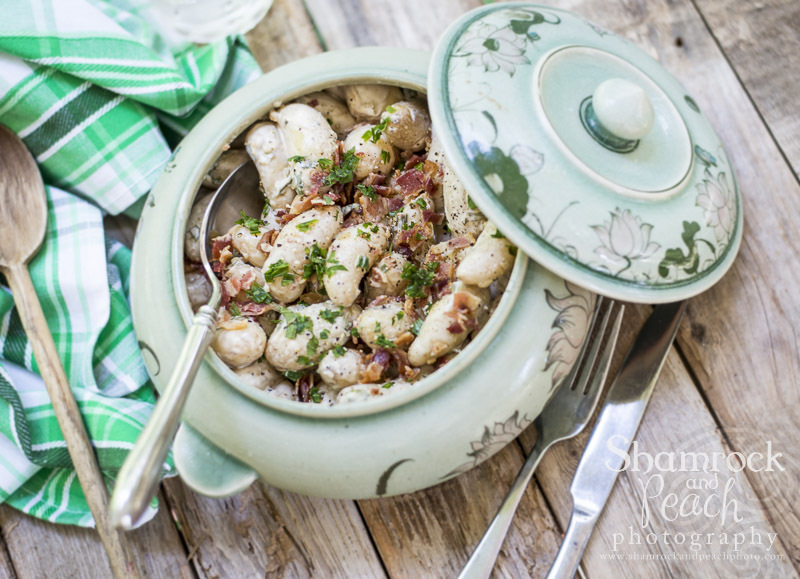 Happy Fall cooking…and may those apples grow plump and those leaves start turning! 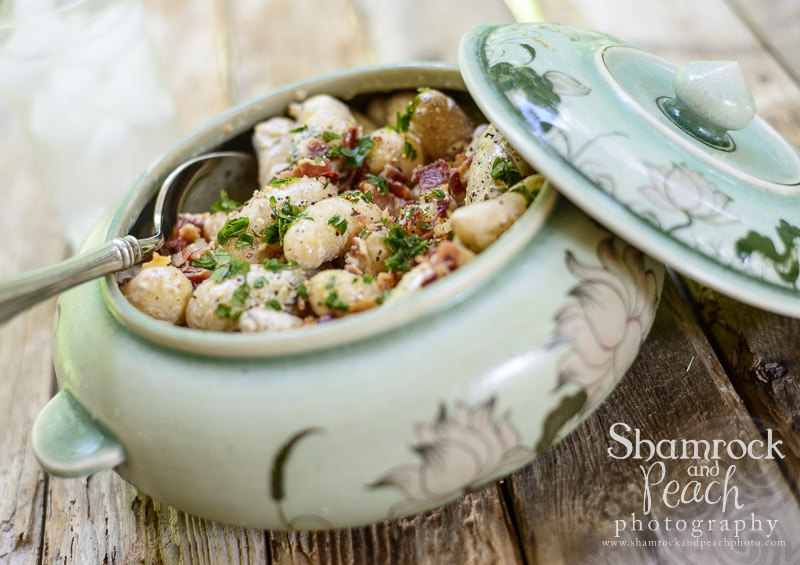 So, would you believe it?…yes, the Irish girl is always asked to bring the Potato Salad to the party right? So, how does the Irish girl make her potato salad you may ask? Well, it’s hard to go wrong with a great tasting potato and yes its’ how I was raised and I am proud of it. These days living in Georgia I like to use small young fingerling potatoes for my potato salad. The best thing about these potatoes is they are super easy to cook without wasting time peeling and chopping. The skins are also tender and nutritious! Just like my favorite Yokon Gold Potatoes the texture is more waxy with great flavor and hold their shape when cooked. So, here is the way I prepared my potato salad! Bring a large pot of salted water to a boil. Add the fingerling potatoes to the pot and once the water has returned to the boil lower the heat and cook the potatoes for 10-12 minutes or until they are tender when pierced with a fork. While the potatoes are cooking place the bacon in the oven and bake until crispy. Drain the potatoes and toss in Apple Cider Vinegar. Combine the mayonnaise, yogurt, mustard, paprika, salt and freshly ground pepper. Gently combine the sauce, herbs and potatoes and transfer to a serving bowl. Chop the bacon finely and sprinkle over the potatoes for a garnish.